Feedback is something we all hate to do. I teach this stuff and yet I sometimes cringe at having to deliver constructive feedback (we consultants and coaches call it “constructive” or “developmental” instead of “negative”), and I can forget to offer positive feedback, appreciation, and praise. But feedback is essential, because without it how can anyone know what they should keep doing because it’s working, and what they should stop doing or change immediately before it causes real problems. The question is, how do you give feedback, and how can you possibly be Zen about it? The Zen-ness, as always, comes from your attitude, and your attitude comes from perspective, practice, and preparation. I’ve been told, and am quoted as saying, that “feedback is a gift.” And it’s true. If I can remember that, when shared effectively, the feedback I offer can help someone become even better at what they do, or how they interact, or how they’re viewed, then I can remember that I am offering a gift. This helps me be calmer, more Zen-like, as I share. As always, practice makes perfect, and the things that were once hard for us become easier as we do them over and over again and become more comfortable with them. The same is true for feedback. It also helps to have guidelines to follow, and for this I refer to an acronym, SAY THIS, that was developed by a colleague, Lynn Russell. Specific – General feedback such as “that’s great” or “good job” or “it didn’t meet my needs” doesn’t help anyone. In order for someone to repeat great behavior or adjust less than great behavior, they need to understand specifically what worked or didn’t work about what they did. Share specific feedback. About behavior – Feedback should be based on behavior, not your perspective of behavior. Hint – look for a verb. It’s pretty useless to tell someone that “they’re a great team player,” or “they’re too aggressive” because they won’t necessarily understand exactly what they’ve done that’s worked or not worked. It’s more effective to offer “it helps when you share information and ideas with everyone on the team, so we’re on the same page,” and “when you slam the phone down at the end of a call it’s disruptive.” These comments allow your feedback receiver to change (or repeat) their behavior, so you get more of what you want. Timely – Feedback should happen as soon after an event as appropriate and possible. If you wait for weeks to share your feedback, you’re more likely to get into a useless discussion about who remembers what about what actually happened. Feedback should also happen only when everyone is in an emotional state to hear (or share) the feedback. If you’re angry, count to ten, or twenty, or one hundred. Wait until you can talk calmly, and the other person can hear you. Habitually two-way – Feedback is a conversation not a download. Listen to their perspective as well. Enough said. 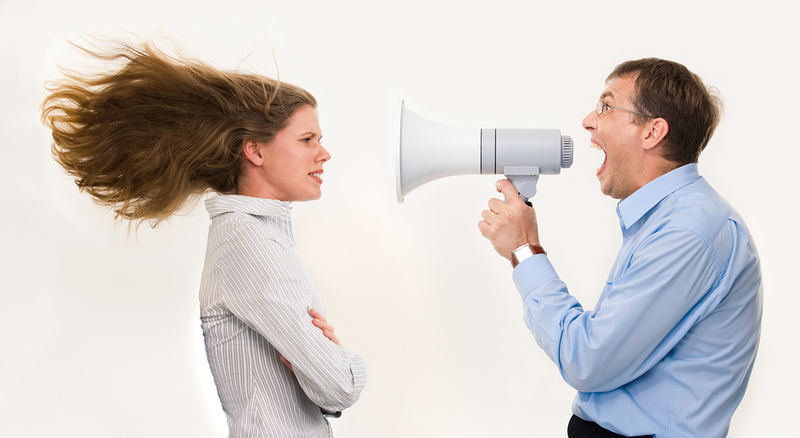 Incremental – If you offer all of the feedback you have at one time, chances are that you won’t be heard. The other person will be on overload. Offer a bit at a time, as things happen, so that your feedback sinks in. Supportive – It’s important to share constructive (or developmental, or negative) feedback, but it’s even more important to share what’s working so that it can be replicated. Leadership is largely about building on one’s strengths, but we need to know our strengths in order to do this. By sharing supportive, positive feedback you allow others to feel good about themselves and what they’re doing, and to get even better at it. It takes time to think through feedback, so make time. If you are prepared, aware of the outcome for which you’re aiming and the specific information you need to share, you can approach feedback with an attitude that will help you and others. With perspective, practice, and preparation it’s possible to be Zen about giving feedback – now how about receiving it? What helps you be Zen-like when giving feedback? For help in giving feedback AND achieving Zen, contact Lisa at lkohn@chatsworthconsulting.com. If you want to find more growth, contact Robyn at rmcleod@chatsworthconsulting.com. Try the Perfection Game from the Core Protocols for the most effective “feedback”. Thanks for the suggestion Paul. I’ll check it out.